Bessie Schonberg mentorship residency program at the Yard gives dancers the space and time to collaborate on new work. Season opens Friday, June 13, at 8 p.m.
How does one capture the spirit of Martha’s Vineyard in a way that can live past the present? Or how to recreate the way time feels as the tide ebbs and flows at Stonewall Beach. Or how about the timeless music of the country’s oldest carousel or what was it like to live on an old Chilmark farm years ago? That’s what Eric Skinner and Daniel Kirk of Portland, Ore., are trying to answer. 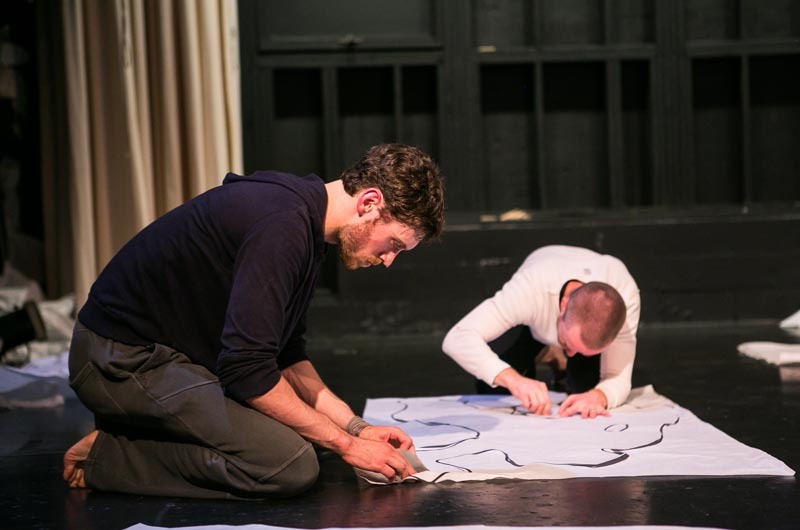 For the past two weeks Mr. Skinner and Mr. Kirk, along with musician Tim Ribner, have travelled around the Island, capturing its sounds and subtleties so they can recreate this in the form of an abstract dance and original score. 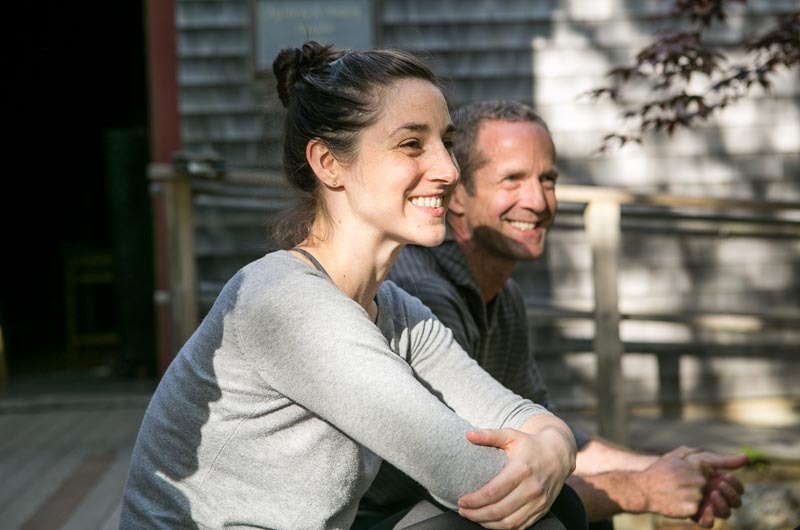 Mr. Skinner, whose parents live on Island, and Mr. Kirk are two of four primary artists participating in this year’s Bessie Schonberg Mentorship Residency at the Yard in Chilmark. They will be premiering their Island-inspired work this Friday and Saturday, June 13 and 14, at the Yard’s Patricia N. Nanon Theatre, along with the other 2014 Bessie residents, Cori Marquis and Luke Murphy. The Bessie mentorship program has been offered annually for several years. 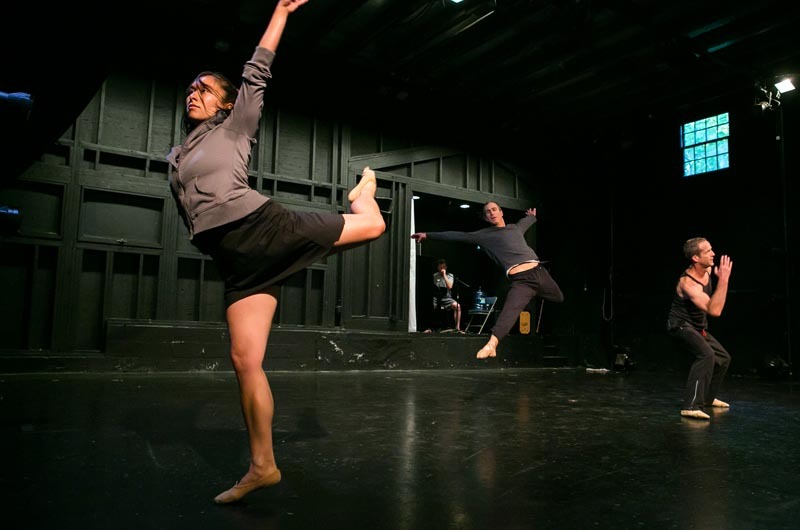 It aims to provide choreographers and dancers with the time and space to compose new work. For three weeks, the choreographers and three collaborators of their choosing take up residence at the Yard. Artists explore themes and ideas and receive mentoring from David Brick, co-artistic director of Headlong Dance Theatre in Philadelphia. Mr. Skinner said that living with collaborators changes the way they interact with each other. 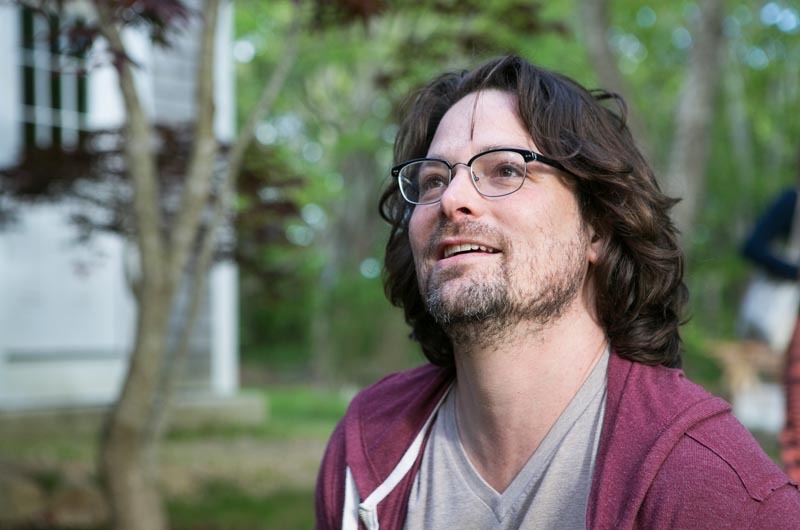 David White, artistic and executive director of the Yard, feels that this sense of communal living and communal time is one of the most important aspects of the Bessie residency program. He said that the way the three primary choreographers interact with each other’s groups, and not just their own collaborators, builds a uniquely supportive atmosphere. “No one at this stage in the game — certainly in dance — thinks that they make work alone,” he said. “Choreographers acknowledge the role of creation of all the performers who work with them. And so you’re looking to a greater or lesser degrees at this kind of unique way of making things as micro communities. “Through the process of being here over a three-week period, there’s always a chemistry that I’ve found that happens, not antagonisms or aesthetic competitions,” Mr. White added. The pieces that the Bessie artists work on during their residency at the Yard are not meant to emerge fully completed and polished. Instead, Mr. White and Mr. Brick hope that the dancers’ experiences on the Vineyard will feed their ideas and inform their work for an extended period of time. Though Mr. Skinner and Mr. Kirk’s piece is directly inspired by the Island, a sense of the Vineyard is not visibly evident in all of the artists’ work. Ms. Marquis lightheartedly describes her work as a “profane mess.” She uses improvisation as a keystone of some of her pieces, drawing on the vibes of the exact moment for inspiration. “It’s just such an ideal place to make work,” he said. 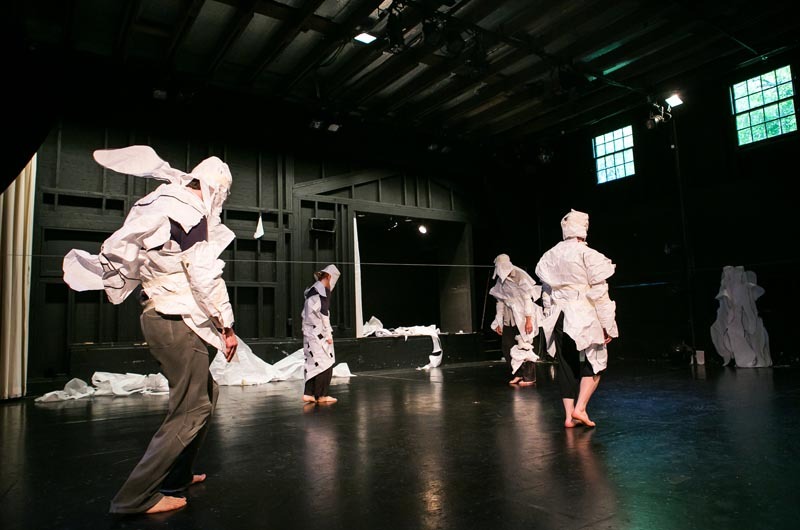 The Bessie Schonberg Residency performances mark the beginning of the Yard’s summer season. Mr. White and his co-workers have developed a theme for the summer called “Diaspora Crossing.” According to Mr. White, the theme is a “capital letter title” for the idea of uniting a variety of artists by the idea that they all come from very different heritages. “The idea is that we’re not trying to prove a point here. We’re just trying to demonstrate this universe of contemporary dance-making, a lot of which has something important to say in social terms as well,” he said. Among the performers Mr. White is looking forward to hosting at the Yard are Chinese artist Yin Mei, African American performer Camille Brown and Bharatanatyam choreographer Aparna Ramaswamy. From July 2 to 12, the Yard will also put on its third annual TapTheYard festival of percussive performances featuring the Wondertwins (Billy and Bobby McClain), the Manzari Brothers and renowned tap dancer Jason Samuels Smith, among others. Mr. White hopes that by bringing diverse talents to the Island, particularly during the summer, he can establish relationships that will also contribute to the year-round culture of the Vineyard. 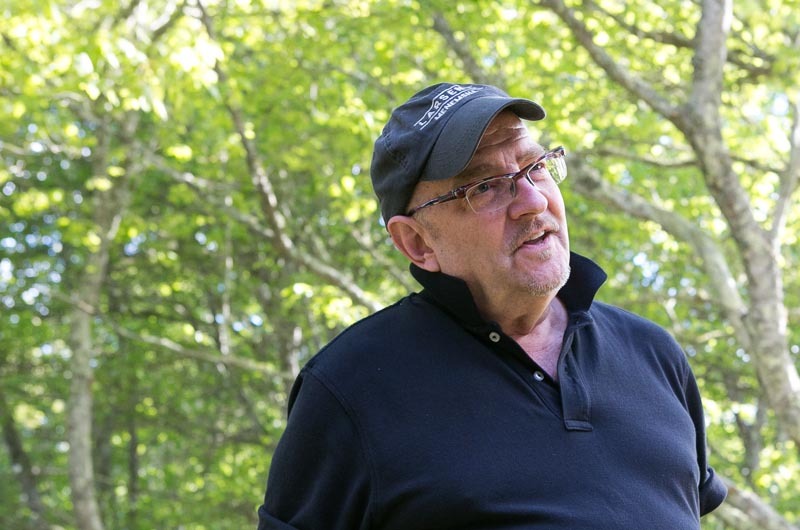 “We’re trying to just bring as much different kinds of work of what we consider to be of national caliber to the Island, to make them part of the overall community over time,” he said. The season will conclude with DanceTheYard, an event showcasing the talents of the Yard’s own managing director Alison Manning, director of Island programs and education, Jesse Keller, the Yard interns, and Island-based improvisational dance company What’s Written Within. For more information on tickets, venues and the summer schedule visit dancetheyard.org.